Thanksgiving in New York City is a magical time. 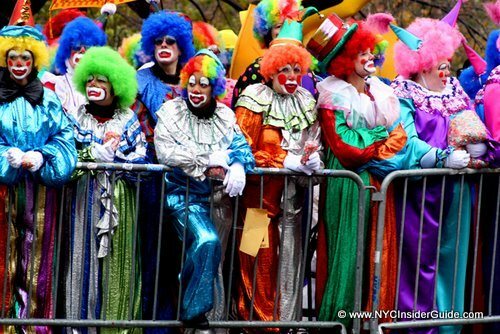 Millions of people around the world tune in on their televisions to watch the famous Parade. 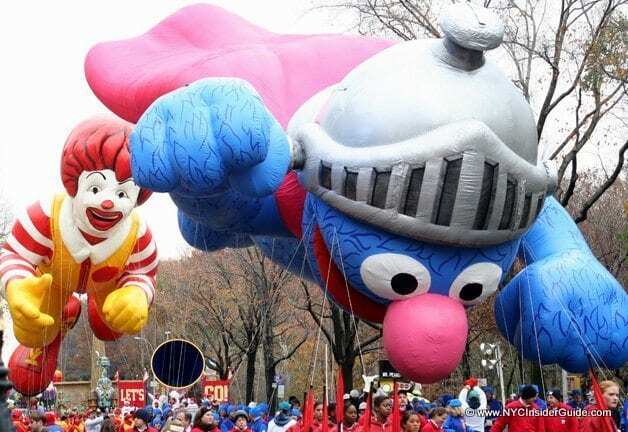 If you are lucky enough to be in NYC, here are some tips on things to do Thanksgiving weekend, best ways to watch the Thanksgiving Parade, which attractions are open and where to have Thanksgiving Dinner. 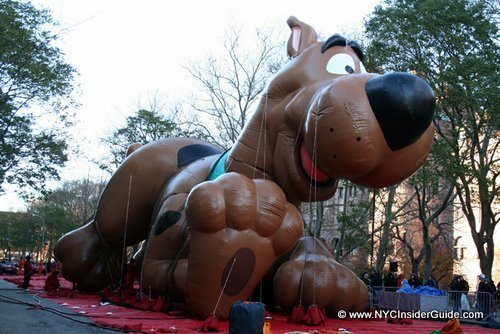 Please note the recent changes to the Macy’s Thanksgiving Day Parade route. 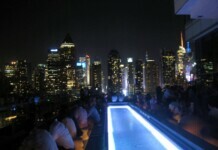 JW Marriott Essex House New York – Situated on Central Park South and a premier Thanksgiving Day Parade hotel. 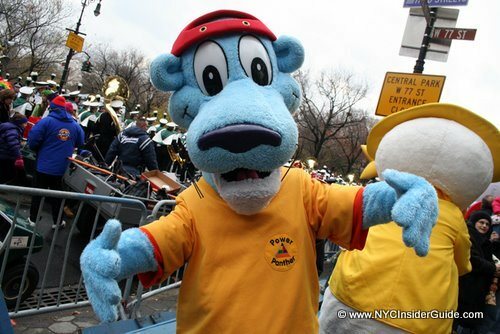 The Parade changed routes in both 2009 and 2012, so please be aware when researching older information and read the FULL NYC Insider Guide to Macy’s Thanksgiving Parade Hotels and Vacation Packages. Choose from Uber Exclusive Parade View Parties or All inclusive Thanksgiving NYC Vacation Packages and save BIG. With Thanksgiving and the Rockefeller Center Tree Lighting happening in November and December, hotel prices tend to skyrocket! Luckily, we have a fantastic NYC Vacation Company that has scoured the city to bring you the BEST deals, tons of freebies, personal planning and more to help you enjoy your Thanksiving in New York City. 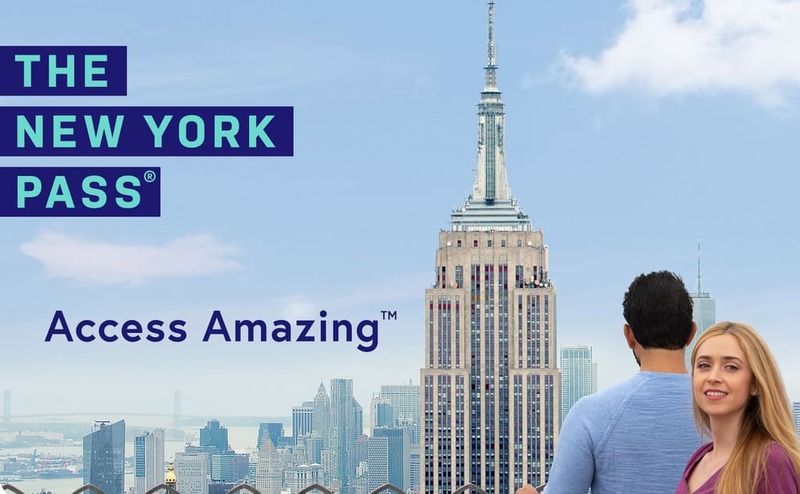 All New York City Vacation Packages include Hotel, Taxes, Free Attractions and Museums, Discounts, Maps, Vacation Planning Assistance and more. 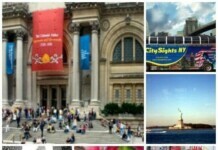 Many New York City Tourist Attractions are open 365 days per year, although some with limited hours. 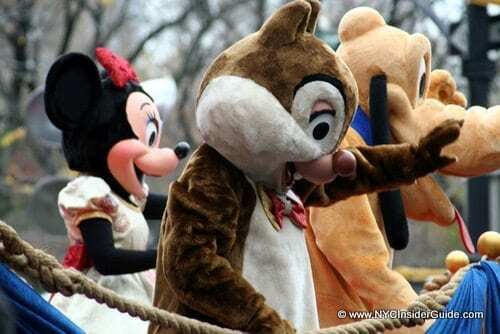 Thanksgiving Day may be a great day to try and see some of the more popular attractions, as they will be much more crowded the days before and after Thanksgiving. Times Square – Hershey’s Store, M&M Store, Hard Rock Cafe and many more. 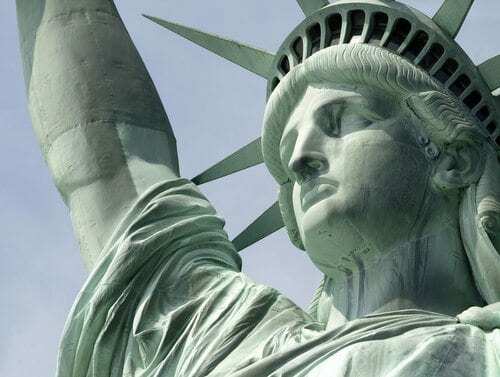 Thanksgiving in New York City is a great time to visit the Empire State Building, Top of the Rock, Statue of Liberty, 9-11 Memorial and Museum, One World Observatory, take a New York City Bus Tour and much more! 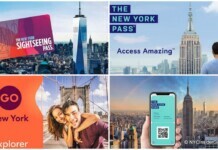 The New York City Pass Discounts are a GREAT way to save if you know you’ll be seeing a lot of attractions in a short time! With hundreds of delicious choices for Thanksgiving Dinner in New York City, it may be hard for you to choose just one place. 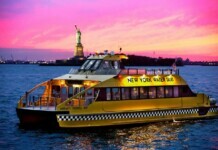 Many NYC restaurants will offer a special pre-fixe holiday menu and you can pick from the most innovative menus to spectacular boat cruises with amazing skyline views around Manhattan. The best spots BOOK EARLY, so make sure to check the complete NYC Insider Guide to Thanksgiving Dinner in New York City. 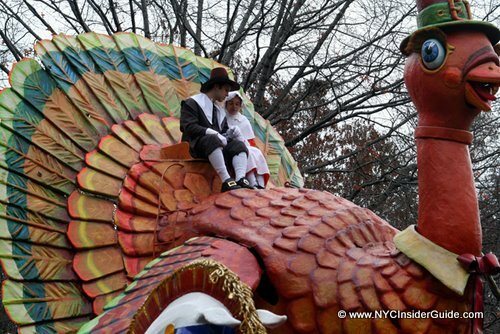 Broadway and other NYC shows are hit or miss on Thanksgiving Day. In prior years, some Broadway Shows have performed, the Rockettes always have multiple shows and other shows are open around the city. Grab yourself (and the kids) and get tickets to one of the few shows open on Thanksgiving! Enjoy! Lion King, Jersey Boys, Wicked. Floats, Clowns, Balloons, Celebrities, Santa Claus and so much more. This is what Thanksgiving in New York City is all about!! Arrive no later than 7am to stake the best viewing spots. 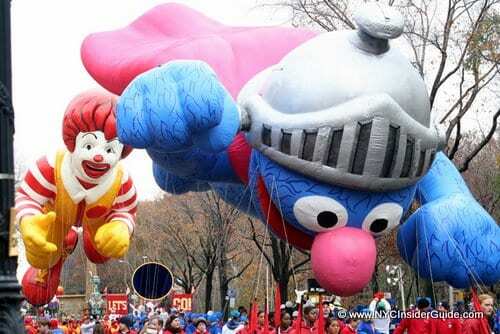 The 2018 Thanksgiving Parade route starts on Central Park West and 77th Street, marches South on Central Park West (CPW) to Columbus Circle, turns east on Central Park South and South on 6th Avenue to Macy’s at 34th Street at Herald Square. The new route offers over 2 miles of spectator viewing options. Here’s what my friend, Eric, told me about his viewing spot, “Last year we watched from the west side of 6th Ave, near Radio City Music Hall (at 51st St.) and it was great, sunny, you could see the balloons from a distance, and there were plenty of places to get coffee/bathrooms behind us between 6th and 7th Avenues." Though the areas along Central Park are best for early birds (first to see the Parade), in previous years, it was not advisable to watch the parade on CPW or Columbus Circle, but rather further down on 6th Avenue. 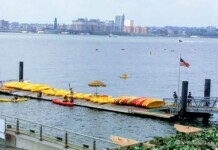 There are high winds and lots of shade along CPW, so floats and entertainers have been known to “rush” through this area. The upside to the rush is that you will see the whole parade in 1.5 hours, while further down the route, it will be about 3 hours. 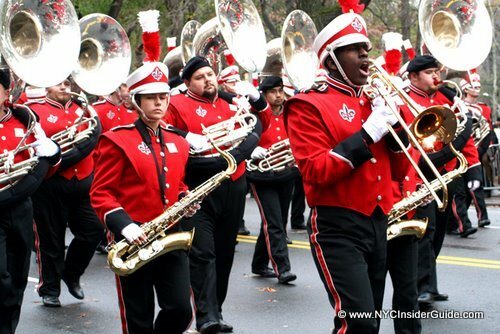 For those who want to see the parade later in the day (9:30-12am), pick a sunny spot down on 6th Avenue between Central Park and Macy’s on 34th Street. Sixth Avenue between 59th and 38th offer great parade views. 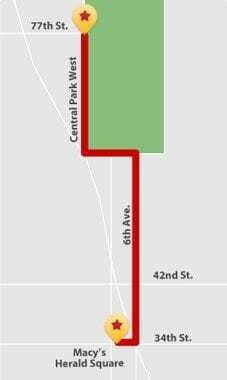 Sixth Avenue between 34th and 38th Street will be closed to spectators. 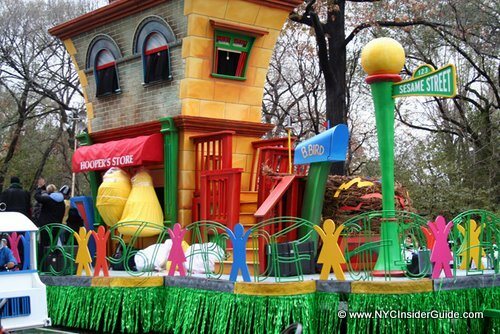 More information at Macy’s Thanksgiving Parade. Balloon Set Up – This can actually be as much fun as the Parade itself and many of us have stood outside with Hot Chocolate (or, um, something stronger) and watched the Parade balloons being blown up. 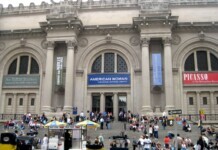 The set up takes place on either side of the American Museum of Natural History, on 77th and 81st Sts between CPW and Columbus from 3-10 pm on Wed, November 22nd. 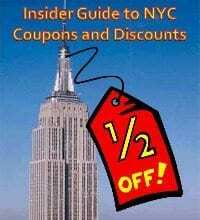 Thanksgiving in New York City Coupons: Join FREE and Save! The cold weather is a great time to take to the Manhattan skies for an exciting New York City Helicopter Tour! On top of our always-gorgeous skyline, you’re bound to see amazing holiday lights up close this time of year! 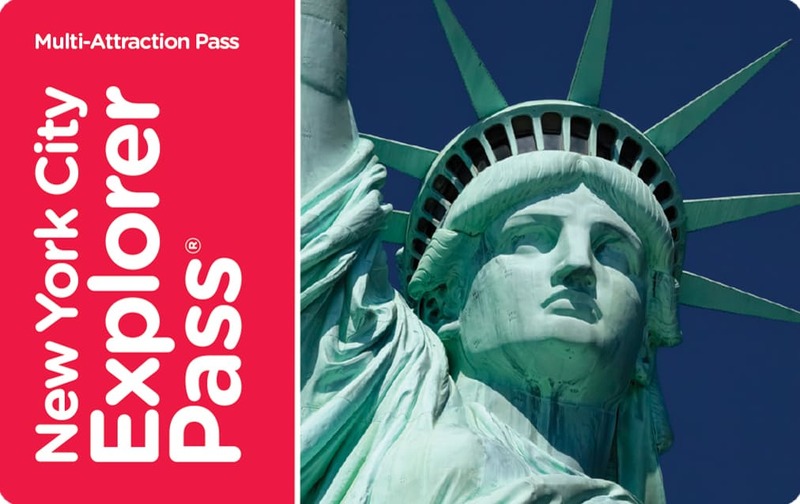 Enjoy spectacular aerial views of the Statue of Liberty, Wall Street, 9-11 Memorial, World Trade Center and Ellis Island downtown. I LOVED my tour…check out some of my photos and review at New York City Helicopter Tour. 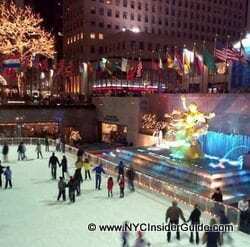 All three major rinks are open on Thanksgiving Day, as are the restaurants surrounding them. Here are the rates and dates for the most well-known ice skating rinks. 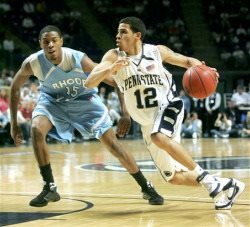 Held every Thanksgiving Weekend, the Preseason NIT Tip-Off is a great way to kick off the beginning of the college basketball season and celebrate Thanksgiving in New York City.